This is the third in a series of posts to walk through what was launched / delivered. Customers are experiencing a massive growth in data center scale. This has been the result of a lot of consolidation across data centers, the growth of big data and fast data applications and specialized infrastructure to manage the different application workloads. In addition, as VPLEX environments have mushroomed, they are subject to the same stresses and strains of the overall IT environment. So, it is a good news / bad news story. The good news is that customers are putting more and more of their IT infrastructure behind VPLEX. The bad news is that what used to be a few steps at smaller scale and therefore barely noticeable, at scale becomes a much bigger problem. 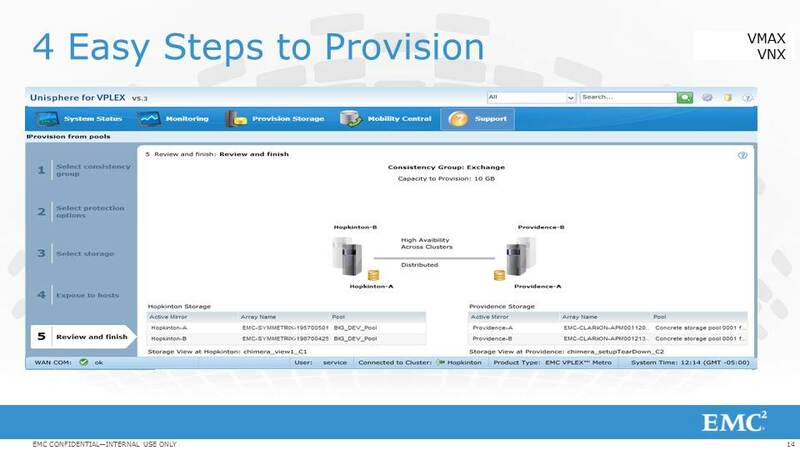 Customers have come to us with a simple request – make provisioning simple! We are addressing this problem in multiple ways with the simplest being the Virtual Storage Integrator (VSI) plug in as a mechanism for VMware environments (see here) and the most elaborate being the incredible capabilities of the ViPR controller (see here). 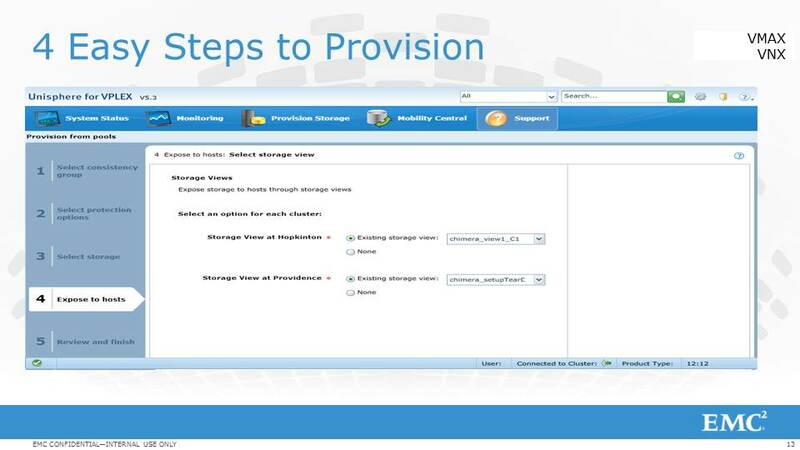 And we are now providing customers with the means to do end-to-end provisioning natively through Unisphere for VPLEX. Basically, from within the VPLEX UI, you can now provision all the way to the backend storage without having to go to the backend UIs. This implies that when you provision storage, you no longer have to navigate between two or three GUIs to provision storage to VPLEX. This capability we are referring to as VPLEX Integrated Array Services (VIAS). The first installment of this GAd in March as a part of GeoSynchrony 5.3 and was launched on April 4th. 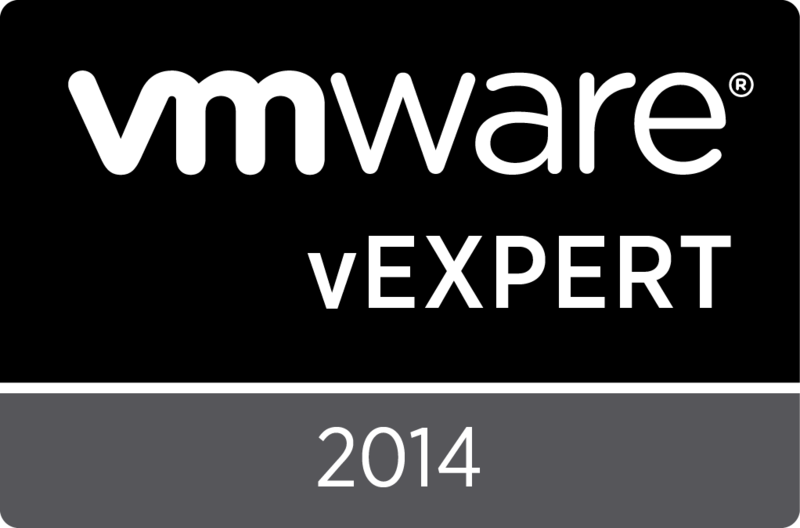 For the initial release, we support the VMAX and VNX. The basic process works by exposing the backend Management interfaces to VPLEX. VPLEX uses SMI-S to talk to the backend arrays. As a result, while we support VMAX and VNX for the initial release, we expect to add more arrays to the VIAS support matrix. 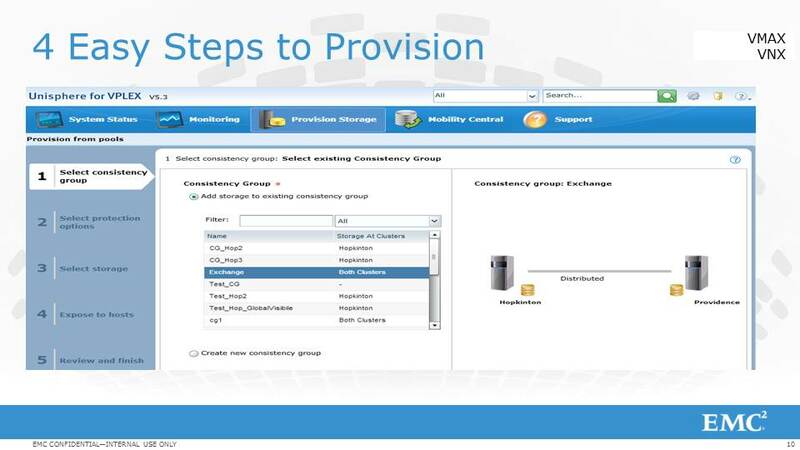 The backend array needs to be configured to some notion of pools (collection of storage) – for the VNX, these are called storage pools, for VMAX, these are called storage groups. These pools are exposed to VPLEX as manageable entities via the management for described earlier. 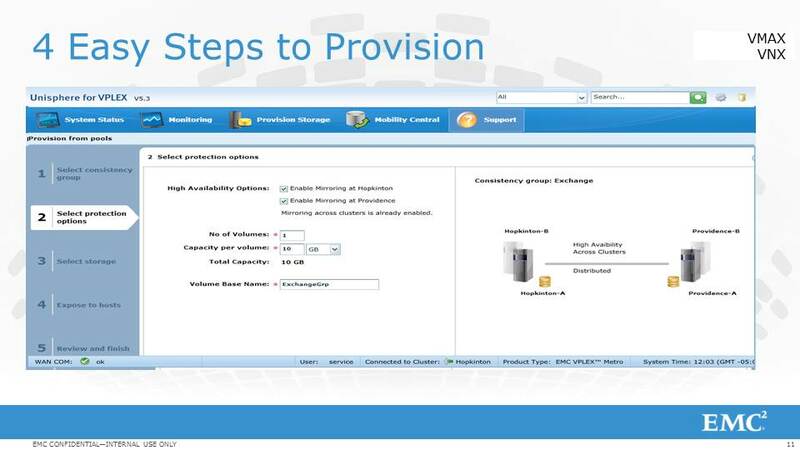 From there on, the provisioning is managed entirely within VPLEX. You have to select what pool of storage you need to use, what level of protection you want (local mirror, distributed mirror), what consistency group to use and what storage view you want to expose to the host. VPLEX then coordinates the creation of the LUN on the underlying storage, exposing that to VPLEX (on the VPLEX backend), claiming this storage, creating a virtual volume on this new storage, adding into the appropriate consistency group and finally, if so desired putting it into a storage view to expose it to a host on the VPLEX front end. In counting the steps pre-VIAS and post-VIAS, we have been able to reduce the steps by over 90%. The effect of this is nothing short of transformational. Large data center environments suddenly become easy to manage and work with. Here is a demo put together by Jen Aspesi to show how VIAS works (Her post on VIAS is here). Once again here is a brief video that Mr. Danahy and I put together to walk through the benefits of VPLEX Integrated Array Services (VIAS). To us, VIAS represents a quantum leap forward in terms of simplifying the life of the VPLEX administrator and enabling them to address the data center sprawl. Do let us know what you think! With the release of VSI 5.6, the above functionality for VSI was enhanced to now allow provisioning VPLEX virtual volumes directly from within vCenter. You can now go into vCenter and select the VPLEX cluster that you want to provision and then create virtual volumes (local or distributed), choose what consistency groups and storage views you want to expose them out of and off you go – ALL directly from within vCenter. Pretty awesome stuff! !